We offer Organic Chana Dal to our clients. We introduce our business as a notable entity of a qualitative array of Organic Chana Dal. Being a market leader of this domain, we are engaged in trading and wholesaling the finest quality of Organic Kabuli Chana at cost effective prices. To cater the variegated needs of our esteemed customers, we are highly engaged in offering a wide array of Organic Chana Dal. 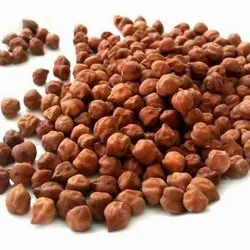 Organic certified Brown Chana Whole for export or domestic market. Organic Chana . Goumutra and gober use only in farm. You can request for samples. It is an excellent source of proteins (especially for vegetarians), fiber, iron & many minerals & vitamins. 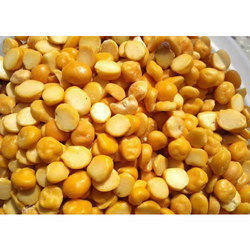 We are remarkable entity, engaged in offering superior quality Organic Chana Dal. H W Organic are thewell-known manufacturer and supplier of a qualitative assortment of Chana Dal or Bengal Gram Split Chana Dal. The entire range is grown under the hygiene and suitable climatic environment at our vendors' end. Offered dal is processed using sophisticated machines and technology by our vendors’ experts.